The date has been set for next year’s newsawards which aim to highlight excellence in print and digital production. This year saw a completely new format for the awards, formerly known as the Newspaper Awards, together with a change of venue. The Leicester Mercury was named regional daily newspaper of the year, while the Eastern Daily Press won the Fujifilm Grand Prix award – recognising titles which have succeeded across the three areas of print, digital and business. Organisers say the feedback from sponsors and guests to the 2015 event, hosted by the comedian Al Murray, left, was extremely positive and have now confirmed that next year’s event will be held on 27 April at the Lancaster London. Gary Cullum, director of newsawards, said: “Every year we solicit feedback from sponsors and guests and last year’s responses were tremendous with some of the most positive comments we have ever had. 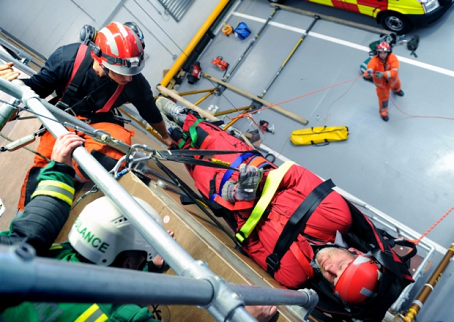 Neil Hudson is lowered to the ground on a stretcher as part of the training exercise. A regional daily journalist was “trapped” inside a collapsed building as part of a training exercise for the emergency services. Neil Hudson, assistant features editor at the Yorkshire Evening Post, volunteered to take part in the search and rescue exercise involving teams from the West Yorkshire Fire and Rescue Service and Yorkshire Ambulance Service. The event saw him act as a real patient with a broken leg who was trapped inside a partially collapsed building. It took place at the ambulance service’s training centre in Beeston, Leeds, which includes a warehouse with a mock-up wooden house inside. Writing about his experience in the YEP, Neil described how he was led into the building by a guide from the ambulance service’s rescue team, crawling on his hands and knees and then just sliding forward on his stomach. “For all intents and purposes I was a real patient stuck in what the emergency services refer to as ‘the pancake’, essentially a partially collapsed building which has resulted in the creation of numerous voids and hazardous spaces,” he wrote. A weekly editor says he plans to hold further meetings with readers after launching a ‘Meet the editor’ initiative on his paper’s patch. Andy Murrill, who edits the Newbury Weekly News, invited readers to talk to him about the paper in the town’s busiest shopping street, Northbrook Street. 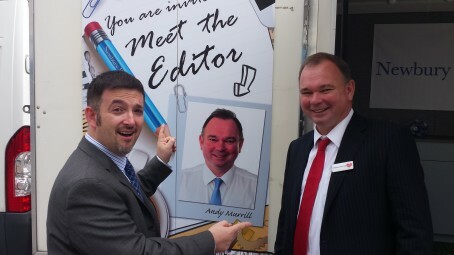 Said Andy: “As it was the first one we had done I did not know what the response would be but I was delighted to chat to a constant queue of readers for the whole four hours. And their feedback was overwhelmingly positive. “Some gave constructive criticism around subjects such as grammar and syntax, proving we have a very intelligent readership. But every single one of them said they simply love the Newbury Weekly News, describing it as their local Bible. Andy now aims to hold more sessions across the paper’s West Berkshire patch. 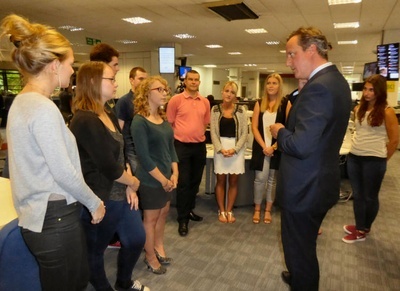 Ten apprentices employed by a regional publisher met Prime Minister David Cameron when he visited their offices. Mr Cameron toured Archant’s offices in Norwich where he spoke to both the Eastern Daily Press and its sister Tv channel Mustard TV. On his arrival he was greeted by Archant chief executive Jeff Henry before visiting the EDP and Norwich Evening News newsroom, where he met editor-in-chief Nigel Pickover. The Prime Minister then met ten Archant apprentices from a number of different departments and spoke to each one of them individually. Mr Cameron was interviewed by Dan Grimmer, public affairs correspondent for the EDP and NEN, and Mustard TV news editor Rob Setchell. 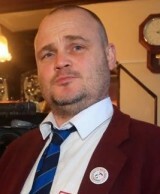 A complaint over a weekly’s reporting of school ratings on its patch resulted in a complaint to the press regulator. But the complaint against the North Devon Journal was mediated before an adjudication by the Independent Press Standards Organisation was needed. The paper denied the story was inaccurate but later removed it from its website as a gesture of goodwill as well as publishing a follow-up piece featuring responses from the schools mentioned, as well as a clarification and apology. IPSO considered there to be no need to adjudicate on the matter.